Dubai, 21 January 2019: Sawalef, homegrown luxury fragrance brand, that produces an extensive range of products, including eau de parfum, concentrated perfume oil, bakhoor, muattar, body lotions, agarwood, and gift sets is looking to expand its product range in 2019. The brand launched in the UAE market in December 2017 and currently has six stores across the country. The perfumery curates all its products to appeal to perfume connoisseurs in the region and each Sawalef scent tells a story with a deep sense of originality. The perfumes are infused with strong Arabic traditions and use exclusive raw materials to create products of the highest and finest quality. 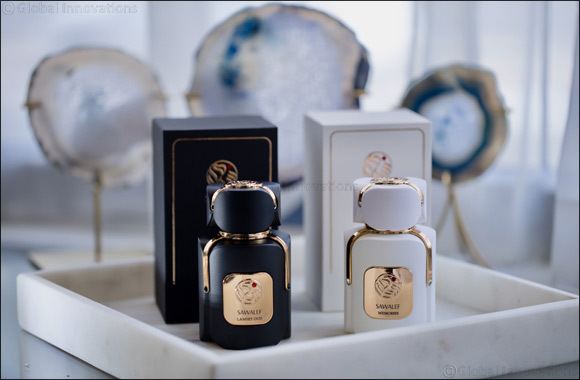 Recently, the brand launched two new Eau de Parfum for Him and Her – Memories and Lamset Oud priced at AED350 for 100ml bottles. Memories Eau de Parfum is a floral oriental fragrance combined with exquisite French notes. The top notes of Ylang and White Amber mixed with the floral notes of Jasmine, Rose and Violet let the wearer embark on a sensual journey, leaving a magical effect. Lamset Oud Eau de Parfum is a citrusy woody scent with floral notes and the aroma of Amber and Agarwood with refreshing top notes of Mandarin, Orange Blossom, and Jasmine. Both are available for AED350 for 100ml bottles. Other fragrances launched by Sawalef include fragrant oud Muattar Al Mulook, which is a combination of the sweet aroma of Vanilla and Amber. Muattar Al Mohra is a mixture of a floral and woody scent. The fresh notes of White Flower and Iris combine with the traditional scent of Sandalwood to compliment the strong personality of its wearer. Both are available for AED375 for 100gms. The signature Bakhoor Sawalef and the latest oriental luxury incenses Bakhoor Hind captures White Rose, Cloves and Amber to leave your home with a captivating scent for an everlasting fresh effect. Meanwhile Bakhoor Hind engulfs the senses with a strong aroma of Henna, Amber, and Rose. Bakhoor Sawalef is priced at 375DHS and Bakhoor Hind is priced at AED 350 for 170gms and promise to leave your surroundings with a scent of authenticity. Sawalef Perfumes is available at the following locations: The Dubai Mall and Merdif City Centre – Dubai; Salam Stores – Wafi Mall, Dubai; Salam Stores – Al Ain Mall, Al Ain; Bawabat Al Sharq Mall – Abu Dhabi and Dalma Mall – Abu Dhabi.